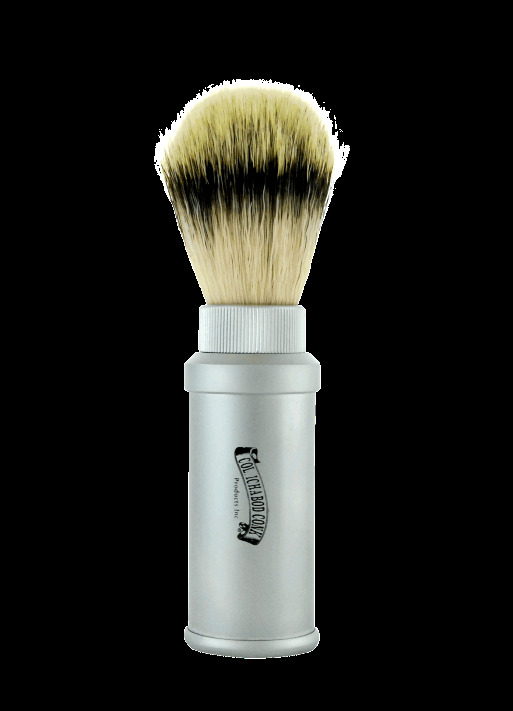 Hit the road with a brushed aluminum cased travel shave brush. Bristles thread into case making a man sized travel brush. Soft synthetic bristles dry quickly in the vented case.